Always a good stay here. We will stay here again. Breakfast being so close is great. I liked the coffee shop a lot! So nice to have that option right downstairs! Always a great place to stay when you’re on trip north and will not be staying long. 6-7 hour sleep and your out. Rooms are clean , shower has hot water and its very economical. Great first impressions which carried through to checkout. Everything was more and better than expected. Very friendly staff, the room was great, facilities great as well. 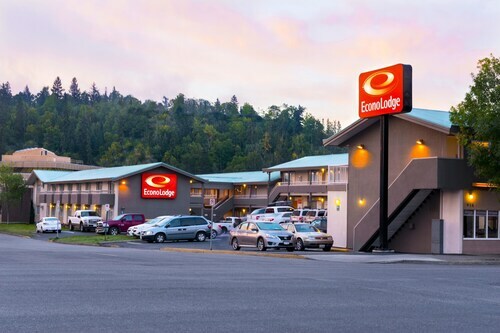 Hotel was fine and well located to one of the industrial areas of Prince George. I would definitely still make this my first choice hotel in Prince George. Second year I've used the Ramada in Prince George for a business trip and well worth the stay. Only about 10 minutes or less to the Pine Mall and other areas of Prince George. Need to get here and get out quickly? 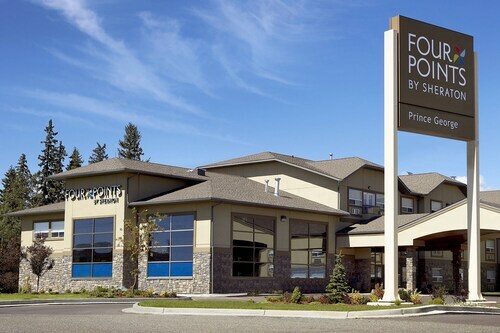 A hotel near Prince George airport might be the perfect option for you. These affordable options blend convenient locations, first-class amenities, and competitive rates into a package that lures both vacationers and business travellers. 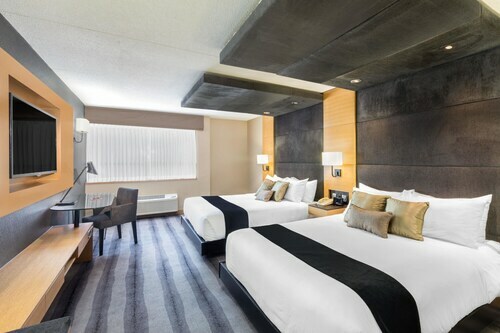 You’ll be in a fantastic location to unwind after an evening arrival or head out for a morning flight, and several Prince George airport hotels are closest to an array of transportation hubs. What are the most popular Prince George hotels?